When the Doctor dresses in the warm clothes, and then looks at the damp clothes before re-arranging them back to how they were. This is when I believe he first decides this might be a bit of a time loop. The most powerful moment was the Doctor punching the diamond wall. The power of the punch, the pain and the apparently pointless act of striking an indestructible wall all come together to create a moment of massive power. Logically he could have blasted the wall with the sonic a few hundred / thousand / million / billion times. More sensible perhaps, but not remotely as effective. A perfect time loop, yet the diamond wall decays every time it is struck, the drying clothes persists from the previous loop as do all the previous skulls / blood stains and dust from the decayed body. Why? It makes the story work, that’s why! This story could be skipped (apart from the massive emotional pay-off). The teleport from Ashildr could have just taken the Doctor to Gallifrey. If the point was to kill the Doctor, just disintegrate him. If it was to punish him, does the recreation every loop obviate that? If it was to get him to make the ultimate confession, well he didn’t, then went to Gallifrey, then did (assuming the confession is his being the Hybrid). 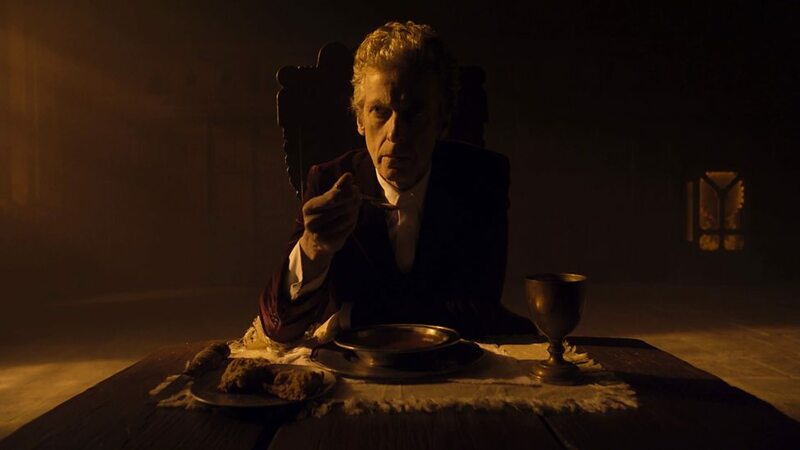 Note – on further analysis and re-watching is is clear the Doctor has a moment of revelation and has possibly driven himself mad as he remembers every iteration. Can a Time Lord brain do that? I still rail about the number of repetitions but it does up the power of the story. So he went the long way round. So what! He ends up on Gallifrey as does Ashildr, Ohila from Kahn and various noble time lords such as the General. Why was the Doctor diverted via his confession disc? Who is pulling the strings? For the Doctor, only one repetition has consciously happened. What was the point? Don’t get me wrong, an all but wonderful piece of TV, I enjoyed watching. There’s just a niggle or two in the corners of my mind. I look forward to any enlightenment!